in a UKAS accredited facility like we have. Our attenuators reduce noise produced by fan units and other equipment within heating, ventilating and air conditioning (HVAC) systems. Generally mounted within the system’s ductwork, they ensure that a specific noise criteria is achieved within the internal or external areas served. 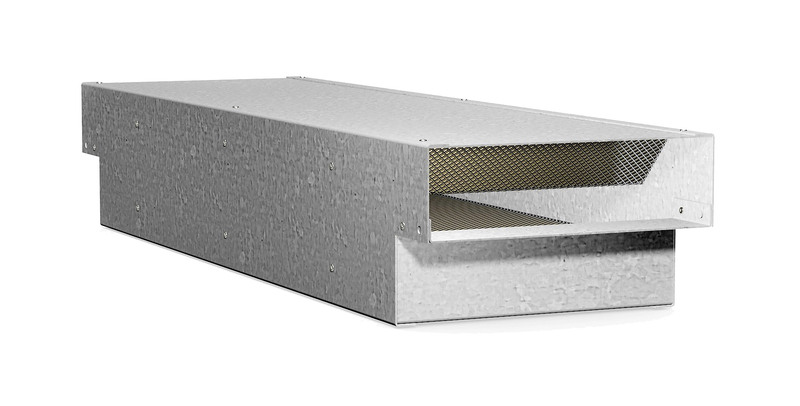 Our comprehensive range offers solutions for rectangular and circular ductwork or products can be specifically designed for installation within apertures and restricted spaces. UKAS accredited testing of our attenuators means we can guarantee the noise reduction performance of any unit. The range is backed up with free attenuator selection software to download. The Whole House Ventilation attenuator from Caice offers a reliable and cost effective method of reducing noise in a domestic ventilation system to help compliance with Part F of The Building Regulations. This product is also suitable for use in commercial applications such as schools or offices. For installations using circular ductwork, we are also able to offer attenuators from our CG or PG range to suit duct sizes from 100mm to 500mm diameter, with nominal 50mm wall thickness.Please refer to our attenuator product page and brochure for more details, or contact a member of our sales team. Reduces noise transmission from MVHR appliances, and can also be used to control cross-talk between rooms. Suitable for both domestic and commercial applications. Aids compliance with Approved Documents F of the Building Regulations. Sizes compatible with 204×60 and 220×90 plastic ductwork. Low height facilitates installation within ceiling and floor voids. Robust galvanised steel construction, resistant to corrosion. Polyester powder paint finish available. Got a question? We’ll have the answer..